Since we've raised sheep commercially (and even when our sheep enterprise was a hobby), we've been committed to trying to live with the predators in our environment. 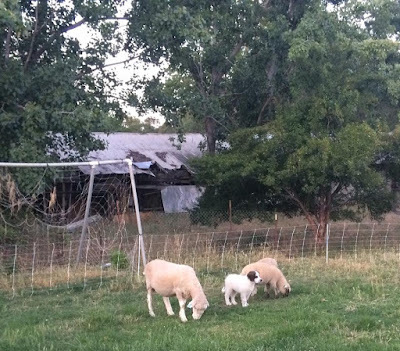 Over the years, we've lost just a handful of sheep - several to coyotes, at least one each to mountain lions and rattlesnakes, and four in one night to a neighbor's dog. Mostly, though, our commitment to nonlethal predator protection tools has worked. A combination of electric fencing, livestock guardian dogs, sheep selection and grazing management (see Big Dogs, Hot Fences and Fast Sheep for the details) has allowed us to co-exist with the predators in our environment. But as I talk with other sheep producers in California and elsewhere in the West (and even overseas via Facebook and Twitter), I realize that our approach won't work for everyone. And as we face the prospect of wolves returning to our part of the Sierra foothills in my lifetime, I'm even more convinced that there are no easy answers to the question of livestock-predator co-existence. My first experience with coyote predation happened shortly after we moved to Auburn in 2001. One morning, we noticed that we were missing a feeder lamb. The rest of the sheep were bunched in a far corner of the pasture and kept looking to the other side of the field where an irrigation canal ran through our property. I checked the ditch, and found the dead lamb halfway under water. Its throat was torn out, and a portion of it had been eaten. We called the county trapper, who confirmed that it was a coyote. Looking back on this incident, I realize several things - about predators and my attitudes toward them. First, we lost the value of the lamb that died - a direct economic loss. More than that, however, I suspect that the stress experienced by the other lambs caused a number of indirect economic costs (like a temporary drop in weight gain, for example). I also learned something about myself - I learned that had I observed the coyote in the act of killing or feeding on my lamb, I would have taken lethal action to stop it (I would have shot it). I also learned that I couldn't have brought myself to kill just any coyote - I would need proof that a specific, individual coyote was the culprit. In other words, I learned that I would take action to directly intervene in the death of my sheep, but I wasn't comfortable taking random or preemptive action to prevent other coyotes from hunting my sheep. 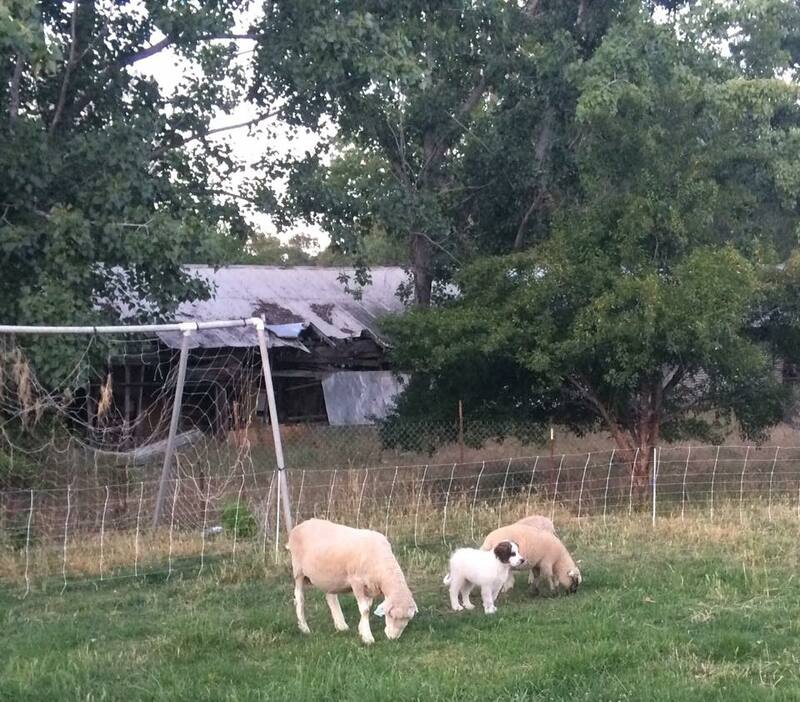 Later, when we lost the four ewes to a dog, I also realized that as much as I like dogs, I would shoot a dog in the act of killing my sheep (I didn't take such action in this case, but the dog was impounded by Animal Control and the owner was required to make restitution). Wolves, when they arrive, will be a different issue altogether. Personally, my commitment to coexistence will mean that I'll work to find nonlethal protection techniques that are effective. Even without this commitment, however, state and federal laws give me no choice - it would be a criminal act for me to harm a wolf. The hunting behaviors and abilities of wolves are unlike those of any predators I've experienced. More - and bigger - livestock guardian dogs will probably be my primary tool, but this has its costs, too. Raising sheep is a business for me, and I'll have to weigh the extra costs carefully. Like all of the ranchers I know, I view the loss of any of the animals in my care as a personal failure. There are many reasons that sheep can die, and not all of them are preventable; however, every death affects me emotionally and economically. While I appreciate the efforts of agencies and nonprofit groups to reimburse ranchers for direct losses to wolves (and other predators in some regions), I feel like these direct costs are just part of the true impact of predators. Indirect impacts include reductions in reproductive success, weight loss, additional labor, and other additional costs (like feeding and caring for extra guard dogs, and increased liability insurance costs associated with these bigger dogs). Finally, a dead ewe or ram represents the loss of genetic potential. My sheep, like most herds and flocks, have been bred specifically for my environment and operation. I can't simply go out and replace a ewe that has been killed with something from the sales yard and expect similar productivity. This has multi-year ramifications. Any investment in new genetics takes several years to provide a return, and there are also life-time productivity losses. In my flock, a ewe might have 12-15 lambs during her productive life. If she's been killed, I lose that as well. As part of my work with UC Rangelands and as part of my graduate studies at Colorado State, I'm helping develop a rancher survey to begin looking at these indirect impacts. I think the results of this long-term project will be important and insightful. Several weeks ago, a friend and fellow northern California rancher told me, "The hard part about the wolf/livestock issue may not be the animals, but the people. Ever since 1492, and before, man has dealt with predators in one way or another. That's 524 years. Now, only since 1995 when wolves were re-introduced, our elite, progressive society has demanded that we change our thoughts and attitudes. That is only 21 years. That is a lot to ask of people!" I think she has a point - and it reflects part of the greater divide between urban and rural people the world over. Perspectives on predators depend, at least in part, on their proximity to your home and livelihood. Perhaps its a sign that I'm getting older, but these issues seem much more complicated to me than when I was a younger man. So much of the success (or failure) of nonlethal predator protection tools depends on the frame of reference of the person using (or not using) them. 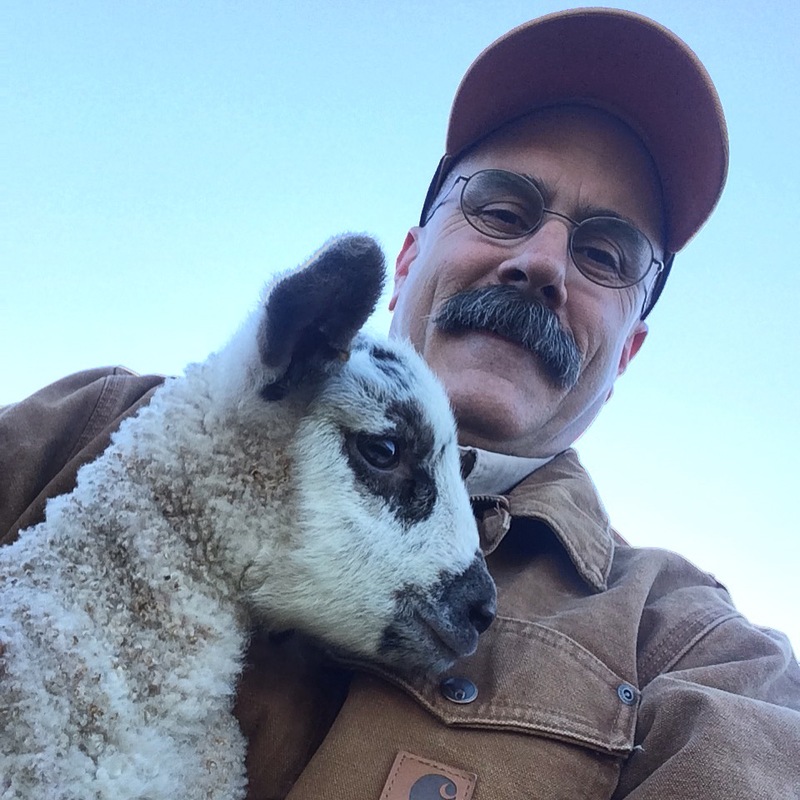 I've come to understand that these tools are like any other approach to raising livestock. If you believe they'll work, you'll find a way to make them work. If you don't believe they'll work, they'll seem like a lot of extra effort and expense - and ultimately they won't work for you. Like all complex socio-ecological issues, there isn't any one-size-fits-all answer to co-existing with predators. Always love your posts. Wonderful insights into shepherding. Admire your thoughts and values.